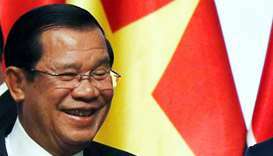 Cambodian Prime Minister Hun Sen blasted the European Union on Saturday for holding the country ‘hostage’ with threats to axe trade preferences after it held elections with no credible opposition. 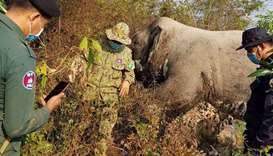 Cambodia will not allow foreign military bases on its soil, strongman premier Hun Sen said Monday, swatting away US concerns about a possible Chinese naval site near hotly contested seas. 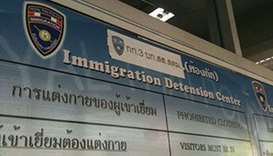 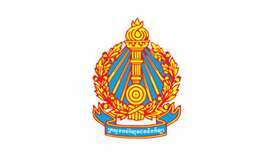 Two illegal immigrants from Vietnam and Cambodia died in a Thai detention centre in the early hours of Wednesday, police told dpa. 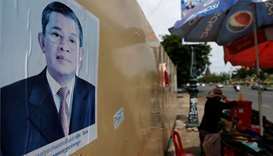 Cambodian Prime Minister Hun Sen said opposition calls to boycott elections failed as he celebrated his ‘crystal clear’ victory in the uncontested vote in a speech to thousands of garment workers Thursday. 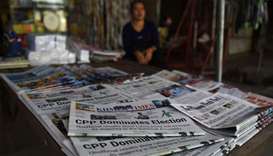 Prime Minister Hun Sen's ruling Cambodian People's Party (CPP) said on Monday it had won all 125 parliamentary seats up for grabs in a general election a day earlier that critics said was neither free nor fair. 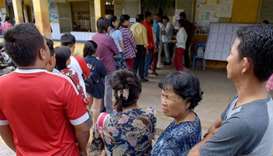 Cambodians voted Sunday in an election set to extend strongman premier Hun Sen's 33 years in power after the only credible opposition party was dissolved, effectively turning the country into a one-party state.